When you think of New Mexico, you probably picture yourself in the uncomfortable heat with the sun pounding down on you. Desert climates tend to carry negative, and often incorrect, stigmas. So this winter, we invite you to discover a different side of New Mexico; one where there is an oasis of sacred springs and world-renowned spas, rich with traditional and Native-inspired services. Here, the unexpected opportunities to be restored and rejuvenated are delightfully countless. The legendary restorative powers of Santa Fe will revitalize your soul, leaving you refreshed and recharged for another year. 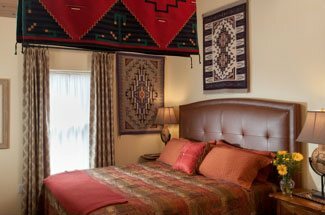 Winter is the perfect time to take time out of your busy life, and to stay with us at our luxury Santa Fe Bed and Breakfast. Take a step back in time, connect with New Mexico, and discover the magical, healing properties of winter at a Santa Fe spa. After a long day of skiing, hiking or sightseeing around the vibrant city of Santa Fe, allow yourself some relaxation at one of the world-class Santa Fe spas found just minutes from our Bed and Breakfast Inn. Ten Thousand Waves, a Japanese influenced spa set at the base of the Sangre de Cristo mountains that focus on cultivating a sense of serenity and relaxation, should be at the top of your list. 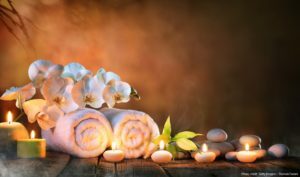 While there, you can enjoy amenities ranging from communal and private outdoor baths, and a variety of massages, facials, and spa treatments. Just down the street from our centrally located Santa Fe Bed and Breakfast, you’ll find authentic Balinese spa treatments, hot stone massages, deluxe packages, and a variety of rejuvenating facials at Absolute Nirvana. If you are seeking a spa experience in a more natural and rustic setting, then we highly recommend taking the short drive to Ojo Caliente Mineral Springs, where a history of relaxation and revitalization resides in the mineral-rich waters of this New Mexico gem. Thousands of years ago, Native Americans found this natural oasis and claimed that the waters were given to them by their gods, and it has since been said that the waters have ancient healing properties. While there, give the Ojo Private Ritual Herbal Bath a try, and let us know what you think! When you feel fully rejuvenated, take some time to experience the beautiful high desert mesas, a lush river valley, and miles of trails for biking and hiking in the area. 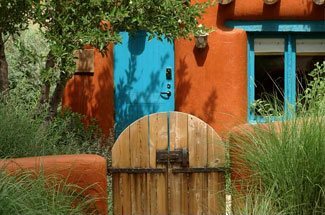 At the end of your day, unwind at our luxurious Santa Fe Bed and Breakfast, and reenergize your body for another day of adventure in Santa Fe.